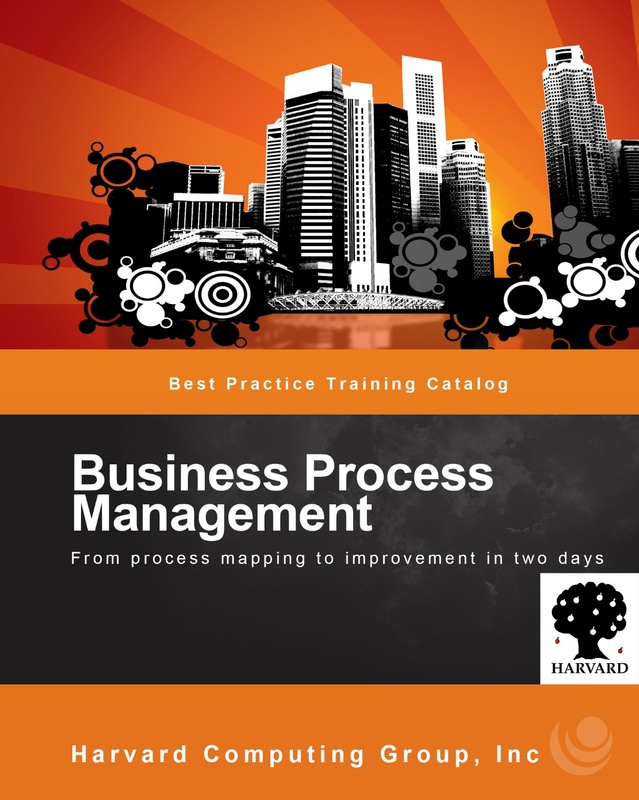 The objective of the course is to learn a proven method of discovery, which will allow the student to effectively discover and capture processes in an organization. 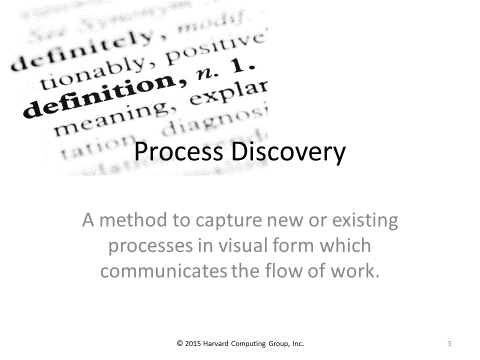 Segment 1: Where does discovery start in a project? 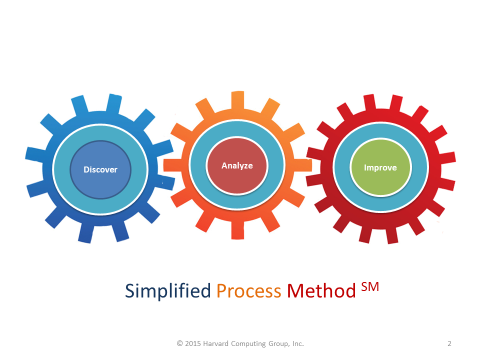 Segment 2: Process discovery and its purpose. Review of tasks an d stages. Segment 3: Business goals and objectives. Tying discovery to the business stakeholder needs. 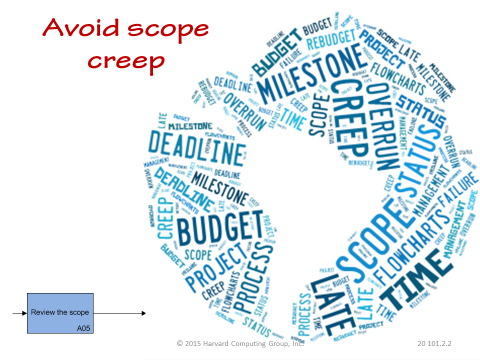 Segment 4: Why scoping your discovery project is important. Segment 5: The impact of organizational culture. 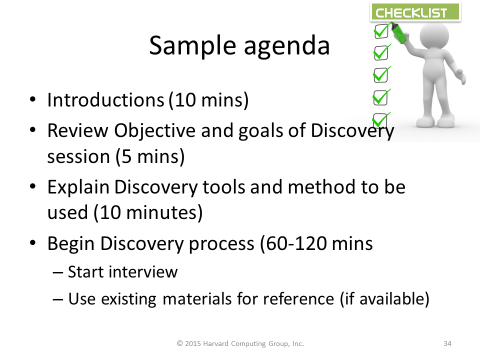 Segment 6: Discovery methods and techniques; capture tools, interview models, discovery methods and strategies. Segment 7: Discovery agenda preparation, tools and templates. Segment 8: Stickcharts, tablets, MS Excel, Visio, Live capture, Web and video conferencing. Segment 9: Discovery layout techniques.